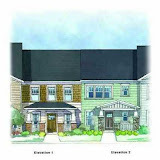 New Haven Walk is A Touchstone Built Townhome community located in the City of Roswell, GA 30076. 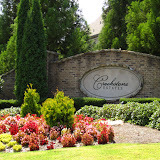 This neighborhood consists of 16 luxurious townhomes conveniently located in North Fulton just off Georgia 400. 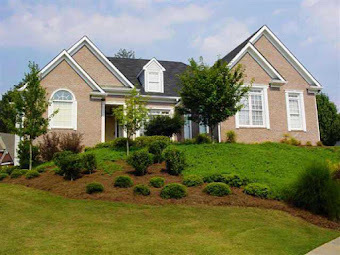 The sophisticated and charming community is a short distance to fine gourmet restaurants, shopping, Chattahoochee River National Recreation Area, Antique Shops and Roswell Square and Parks. New Haven Walk townhomes features two unique and spacious floor plans, The Sutton and The Winslow plans. These beautiful Brownstone townhomes have stone and brick exteriors. Each plan features spacious 3 or 4 bedrooms, high performance gourmet kitchens with islands, granite countertops with JennAir appliances, private decks, home office wiring and other fabulous designer options including optional elevators! 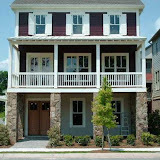 The Winslow Floorplan won 2009 OBIE Award for Best Floorplan Townhome - GOLD Award!! 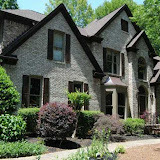 Home Owner Association fees, at time of post, is $130.00 a month with an initiation fee of $500.00. The only street in the community of New Haven Walk is Eagle Ridge. New Haven Walk is located at the intersection of Houze Road and Houze Way, just west of Georgia 400 and Mansell Roads. New Haven Walk is convenient to downtown Atlanta, highway commuting on Georgia 400 and Highway 9. Directions:GA.400N -EXIT 8-LEFT ON TO MANSELL ROAD- TO RIGHT ON HWY.9 (ALPHARETTA) 1ST LEFT ON HOUZE WAY-CROSS HOUZE ROAD AND RIGHT INTO NEW HAVEN WALK TOWNHOME COMMUNITY.